The TomTom ONE 3rd Edition is pre-installed with mapping for UK and Ireland with detailed maps of England, Scotland, Wales, Northern Ireland and Republic of Ireland. The TomTom ONE 3rd Edition provides 3.5-inch TFT colour touch screen, with crystal clear 3D moving maps display and includes UK postcode search. TomTom ONE 3rd Edition provides instant route re-calculation if you detour from the planned route. The TomTom ONE 3rd Edition also includes fixed safety cameras preloaded. An optional RDS-TMC Traffic Receiver is also available for congestion updates. TomTom ONE 3rd Edition has been discontinued. Accessories, spares and parts are still available for your ONE 3rd Edition. TomTom ONE 3rd Edition includes 3.5-inch TFT LCD touchscreen, with pre-installed maps of the United Kingdom and Republic of Ireland. The TomTom ONE 3rd Edition instantly works out your preferred route: quickest, shortest, avoiding major roads. In addition the TomTom ONE 3rd Edition also provides Instant route re-calculation if you detour from the planned route. The TomTom ONE 3rd Edition is ready for TomTom PLUS services with desktop software to keep the TomTom ONE 3rd Edition Future Proof with new maps, speed camera locations and free software upgrades, plus access to other downloadable extras. The TomTom ONE 3rd Edition can also provide real-time traffic information via the optional TMC Traffic Receiver. he TomTom ONE 3rd Edition TMC Traffic Receiver accessory keeps you up-to-date on road congestion to minimise your delays. The TomTom ONE 3rd Edition has been designed to be a portable plug and play device, and as such can be transferred from vehicle to vehicle with ease by the user. The TomTom ONE 3rd Edition is powered with a 12-volt adaptor cable Compact Car Charger (supplied) and attaches to your vehicles windscreen via the windscreen holder which is also included. TomTom ONE 3rd Edition works with Tele Atlas Maps to provide detailed maps of the United Kingdom and Republic of Ireland providing 99% coverage. In addition to street information includes features such as route calculation, Points of Interest, Estimated Time of Arrival, and more. Also available: the TomTom ONE 3rd Edition Western Europe - giving detailed street-level mapping for the whole of Western Europe. Map coverage: A, AND, B, CH, D, DK, E, F, FIN, FL, GB, I, IR, L, MC, N, NL, P, RSM, S, SCV. Looking for genuine accessories and spares for the TomTom ONE 3rd Edition? All parts are genuine TomTom product and specifically designed for use with the ONE 3rd Edition sat nav. Accessories available to purchase include leather case and windscreen mount kit. Question: I have a Tom Tom ONE 3rd edition Explore Sat Nav. Am I able to update the device and if so how? Question: I have a Tom Tom one 3rd edition which kept asking to connect to a PC. After doing this and updating I now find no maps available on the screen? Is it possible to download the pre-installed UK and Ireland maps and upload back to tom tom? Answer: We don’t sell maps for the TomTom ONE 3rd Edition, either on SD card or as a downloaded. We therefore are unable to assist you. 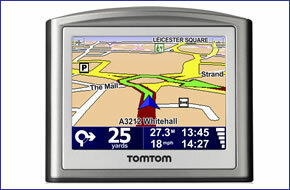 Since around 2007/08 all maps have been sold exclusively by TomTom as a download. I therefore would recommend that you contact TomTom https://www.tomtom.com and enquire whether TomTom ONE 3rd Edition can be purchased and downloaded from them. Do you have a question about the TomTom ONE 3rd Edition? Submit your question via our contact page.